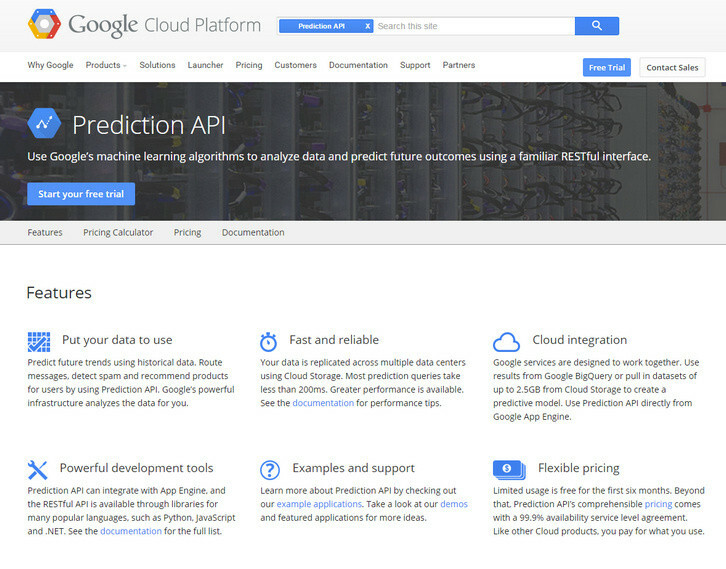 You can use Google’s Prediction API machine learning algorithms to analyze data and predict future outcomes using a familiar RESTful interface. You can easily predict future trends using historical data. Route messages, detect spam and recommend products for users by using Prediction API.